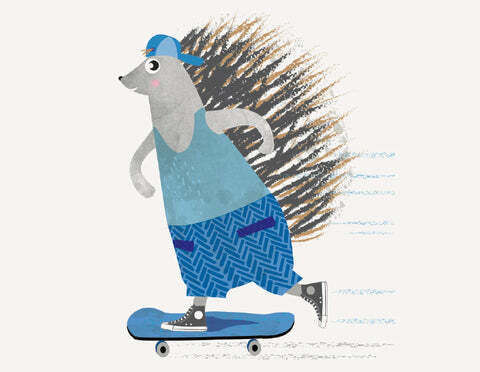 Meet your new healthy friends: Pippa the Yellow Eyed Penguin, Professor Finley the King Salmon, Hugo the Hedgehog and Tess the Tui! Our treasured inhabitants of our New Zealand lands! Let our very special friends take extra good care of your health. Discover each characters unique health message, connecting our kid’s to the importance of caring for their health. Our special friends teach our kid’s to respect the environment and all the creatures, great and small, who dwell in it. Tess the Tui is the treasured native bird of our lands! 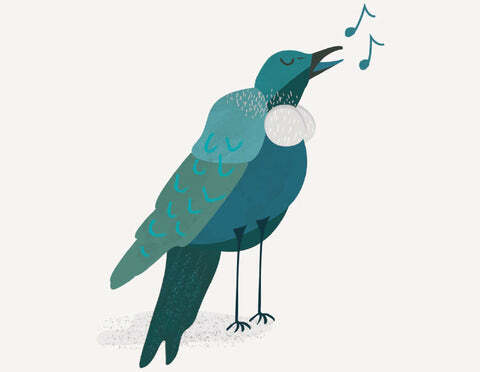 singing in the trees from dawn till dusk, she is the loudest of all birds. Tess snacks on the nectar AND FRUITS of NATIVE plants, as these foods keep her super healthy. To maintain her energy & protect her vibrant feathers, Tess believes the power of our Multi-Vitamin formulation is just what you need for good health and long-lasting energy! Click the image above for the product informations. PROFESSOR FISH IS THE KING OF ALL SALMONS! 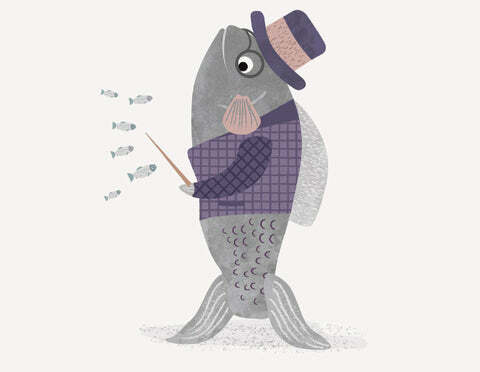 You will find Professor Fish in the cool, deep blue waters of the Marlborough sea. He knows the vital importance of Omega-3 essential fatty acids for the advanced development of brain and eyes. Plus your heart, joints and general good health! GOOD calcium & vitamin D soft-chews! GOOD ELDERBERRY + IVY EXTRACT soft-chews! Kris the Kea, the only alpine parrot in the world, is known for her curious nature and intelligence. She loves investigating around in her native southern alps. Kris knows the importance of boosting her immunity, so she can keep going with her active lifestyle in the harsh alpine forests every day! GOOD BILBERRY + β-CAROTENE soft-chews! Olly the Owl, known as Ruru/Morepork is the only native owl in new zealand. He watches over our native forest with short rounded wings, ears and eyes that are adapted for low light and darkness. Olly knows the importance of keeping his eyes healthy, which is why he takes bilberry + β-carotene, to support his eyesight and macular health. Our soft-chew vitamins for kids are specifically formulated to support healthy kiwi kid’s precious growth and development, with a little goodness, everyday! We are passionate about the Kiwi great outdoors and free New Zealand lifestyle! Which is why your kids will love discovering their treasured healthy friends on every pack! Inspired by the goodness of our New Zealand lands, our mission of achieving healthy, active kiwi kids connected to our beautiful lands is born!